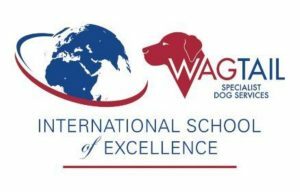 All Wagtail courses are delivered by industry experts with a wealth of knowledge and experience both in the UK and overseas. All our instructors are qualified to the appropriate level, approved through the QCF, and are adept at delivering blended learning to audiences worldwide. We aim, not only to deliver courses in a professional manner to meet the required standard but to furnish learners with additional skills beyond the scope of basic guidelines to enrich their depth of understanding and maximize their potential. With this in mind, all courses have additional lessons that broaden knowledge, consolidate understanding and impart trade complexities that students will find invaluable. All Wagtail courses include additional Guided Learning Hours above the mandated requirements. We have dedicated training facilities on site and a wide range of ‘live’ training areas in the local area to enrich the learning experience. We are Home Office approved to hold real training samples and have a full suite of training aids believing that training on real substance is best practice and a superior option to pseudo scent samples. Our philosophy at Wagtail is to deliver quality without compromise; a philosophy that is echoed in the courses we provide.